Do you love adventures in your life? Do you have interest in Rock Climbing? Are you looking for Rock Climbing Training Centres in Kolkata? One of the oldest & reliable Rock Climbing Training Centre of Kolkata is Parvat Abhiyatri Sangha, Kolkata. Parvat Abhiyatri Sangha, Kolkata invites applications from the interested peoples for the Rock Climbing Course 2012. Let’s check out the eligibility criteria & application process for Rock Climbing Course 2012 of Parvat Abhiyatri Sangha, Kolkata below. • Eligibility & Age Criteria for Rock Climbing Course 2012 of Parvat Abhiyatri Sangha, Kolkata: - There is no educational qualification requires for this Rock Climbing course but Age limitations & body fitness are the main criteria. Only Male candidates aged between 16 & 26 years are eligible for Rock Climbing Course 2012 of Parvat Abhiyatri Sangha, Kolkata. • How & Where to Apply for Rock Climbing Course of Parvat Abhiyatri Sangha, Kolkata: - Interested male candidates are requested to complete the Registration Process with Parvat Abhiyatri Sangha, Kolkata as soon as possible because only 30-seats to be filled. The registration process has been started and will close on 14th January 2012. Contact between 2pm & 6pm (except Sunday) at Parvat Abhiyatri Sangha, Kolkata (address mentioned below). • Parvat Abhiyatri Sangha, Kolkata Address & Phone Contact Number: - Anandabazar Patrika Club Tent, Kolkata Maidan, Beside Mohamaden Sporting Ground, Kolkata-21 (Phone number – 033-22600135 / 9432220924 (Sri Prasanta Das)). Parvat Abhiyatri Sangha, Kolkata starts their 2012 first batch of Rock Climbing Course on 22nd January 2012 at Purulia Boro Hill of West Bengal. 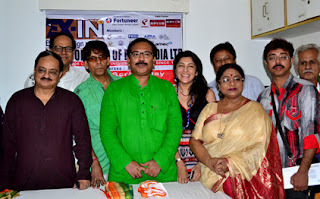 The candidates and the total management team will stay at Purulia till 26th January 2012. Join & Learn Rock Climbing at Boro Hill of Purulia through Parvat Abhiyatri Sangha, Kolkata (Rock Climbing Training Institute of Kolkata). RICE Centre of Siliguri is situated near Siliguri College in Siliguri of Jalpaiguri district of West Bengal. Those aspiring students are looking for the best Institute or Training Centre to prepare yourself for the Competitive Examinations to build you bright career nearby Siliguri, Jalpaiguri, Darjeeling area of Jalpaiguri; should come & join RICE Siliguri Centre, RICE stands for Roy’s Institute of Competitive Examination, was established back in 1989 and since then RICE Siliguri Training Centre has established itself as a pioneer institute in providing training for competitive examinations in Siliguri, Jalpaiguri. Siliguri RICE Centre Course details - RICE Educational Training Centre of Siliguri Jalpaiguri offers necessary training to develop skill & ability required for almost all types of competitive examinations. RICE Siliguri Jalpaiguri Centre is the best Institute that helps candidates to cement their place at competitive examinations like Staff Selection Commission (Matric & Graduate Levels), Railway Assistant Station Master Grade, Bank Clerical and Probationary Officers Grade including SBI, Public Service Commission (Clerkship and Miscellaneous), PWD, LIC & GIC, CDS, Section Officer Audit & Accounts (Only for Commerce Graduates), School Service Commission etc. RICE Siliguri Jalpaiguri Centre Facilities - Candidates will get the facilities like Spoken English Classes, Interview Classes with every course at RICE Siliguri Centre of Jalpaiguri. Computer Lab, Library, Magazine Club along with Canteen facilities are there within the RICE Institute Siliguri Jalpaiguri. For the betterment of the Students’ ability RICE Training Centre of Siliguri, Jalpaiguri arranges special classes for all the students before final examination, Monthly Test, Mock Tests, Pre-examination model test exam and provides syllabus wise important suggestions & study materials as well. RICE Siliguri Centre of Jalpaiguri also has special classes for the students appearing WBJEE, AIEEE etc and organizes Special Mock Test before this sort of career oriented entrance examinations. For Admission to RICE Institute of Siliguri Jalpaiguri please contact at the below mentioned Address of RICE Siliguri Centre as soon as possible. RICE Siliguri Centre Address - 5 Bagha Jatin Park, Opposite of Siliguri College 2nd Gate, Siliguri, Jalpaiguri, West Bengal. Phone number of RICE Siliguri Centre Jalpaiguri - 9233621333 / 9434139921. • RICE Training Centres of Kolkata Hooghly Burdwan Coochbehar area. There are total of 44 RICE Training Centres across West Bengal, So don’t worry if this RICE Siliguri Centre is too far from your home location; because there must be once RICE Centre nearby your location as well. RICE Centre of Behala is situated on Diamond Harbour Road at Behala Manton Bus Stoppage in South Kolkata. Those aspiring students are looking for the best Institute or Training Centre to prepare yourself for the Competitive Examinations to build you bright career nearby Behala, Joka, Thakurpukur, Majherhat area of Kolkata; should come & join RICE Behala Centre, RICE stands for Roy’s Institute of Competitive Examination, was established back in 1989 and since then RICE Behala Training Centre has established itself as a pioneer institute in providing training for competitive examinations in Behala, Kolkata. Behala RICE Centre Course details - RICE Educational Training Centre of Behala Kolkata offers necessary training to develop skill & ability required for almost all types of competitive examinations. RICE Behala Kolkata Centre is the best Institute that helps candidates to cement their place at competitive examinations like Staff Selection Commission (Matric & Graduate Levels), Railway Assistant Station Master Grade, Bank Clerical and Probationary Officers Grade including SBI, Public Service Commission (Clerkship and Miscellaneous), PWD, LIC & GIC, CDS, Section Officer Audit & Accounts (Only for Commerce Graduates), School Service Commission etc. RICE Behala Kolkata Centre Facilities - Candidates will get the facilities like Spoken English Classes, Interview Classes with every course at RICE Behala Centre of Kolkata. Computer Lab, Library, Magazine Club along with Canteen facilities are there within the RICE Institute Behala Kolkata. For the betterment of the Students’ ability RICE Training Centre of Behala, Kolkata arranges special classes for all the students before final examination, Monthly Test, Mock Tests, Pre-examination model test exam and provides syllabus wise important suggestions & study materials as well. RICE Behala Centre of Kolkata also has special classes for the students appearing WBJEE, AIEEE etc and organizes Special Mock Test before this sort of career oriented entrance examinations. For Admission to RICE Institute of Behala Kolkata please contact at the below mentioned Address of RICE Behala Centre as soon as possible. RICE Behala Centre Address - 567 D.H. Road, Behala Manton Stoppage, Beside Sitala Mandir, Kolkata-34. Phone number of RICE Behala Centre Kolkata - 9474020594 / 033-65199978. • RICE Training Centres of Siliguri Coochbehar Burdwan Asansol Durgapur Area. • RICE Training Centres of Kolkata Behala Area. There are total of 44 RICE Training Centres across West Bengal, So don’t worry if this RICE Behala Centre is too far from your home location; because there must be once RICE Centre nearby your location as well. RICE Centre of Rathtala is situated on B.T. Road beside Kamarhati Municipality Office in North Kolkata. Those aspiring students are looking for the best Institute or Training Centre to prepare yourself for the Competitive Examinations to build you bright career nearby Rathtala, Belgharia, Kamarhati, Dunlop, Dakshineswar area of North Kolkata; should come & join RICE Rathtala Centre, RICE stands for Roy’s Institute of Competitive Examination, was established back in 1989 and since then RICE Rathtala Training Centre has established itself as a pioneer institute in providing training for competitive examinations in Rathtala, Kolkata. Rathtala RICE Centre Course details - RICE Educational Training Centre of Rathtala Kolkata offers necessary training to develop skill & ability required for almost all types of competitive examinations. RICE Rathtala Kolkata Centre is the best Institute that helps candidates to cement their place at competitive examinations like Staff Selection Commission (Matric & Graduate Levels), Railway Assistant Station Master Grade, Bank Clerical and Probationary Officers Grade including SBI, Public Service Commission (Clerkship and Miscellaneous), PWD, LIC & GIC, CDS, Section Officer Audit & Accounts (Only for Commerce Graduates), School Service Commission etc. RICE Rathtala Kolkata Centre Facilities - Candidates will get the facilities like Spoken English Classes, Interview Classes with every course at RICE Rathtala Centre of Kolkata. Computer Lab, Library, Magazine Club along with Canteen facilities are there within the RICE Institute Rathtala Kolkata. For the betterment of the Students’ ability RICE Training Centre of Rathtala, Kolkata arranges special classes for all the students before final examination, Monthly Test, Mock Tests, Pre-examination model test exam and provides syllabus wise important suggestions & study materials as well. RICE Rathtala Centre of Kolkata also has special classes for the students appearing WBJEE, AIEEE etc and organizes Special Mock Test before these sort of career oriented entrance examinations. For Admission to RICE Institute of Rathtala Kolkata please contact at the below mentioned Address of RICE Rathtala Centre as soon as possible. RICE Rathtala Centre Address - RICE Head Office, Dishari Bhawan, 11/1 B.T. Road, Rathtala, Kolkata-56. Phone number of RICE Rathtala Centre Kolkata - 033-25644340 / 9903206006. • RICE Training Centres of Kolkata Barasat Area. There are total of 44 RICE Training Centres across West Bengal, So don’t worry if this RICE Rathtala Centre is too far from your home location; because there must be once RICE Centre nearby your location as well.